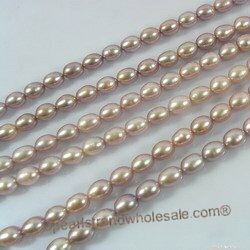 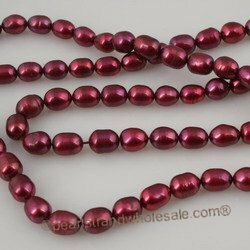 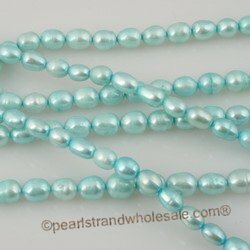 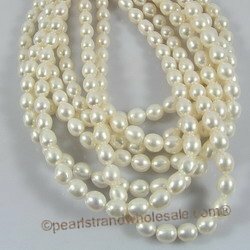 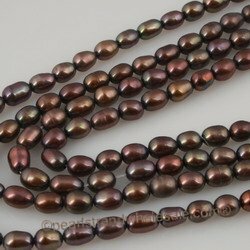 Large selection of Rice shape freshwater pearl at wholesale price, Cultured Rice pearl , Rice shape pearl strands in - different sizes, quality and colors! 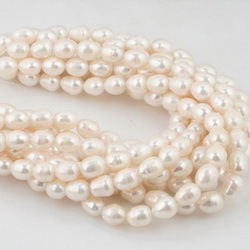 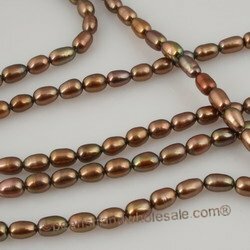 Rmark: Rice pearls are oval or egg shaped pearls that are drilled on the longer dimension of the pearl. 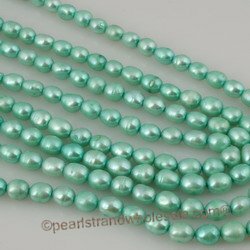 According to the longer dimension, rice pearls have short and long rice pearls. 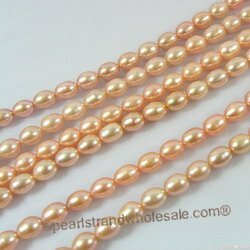 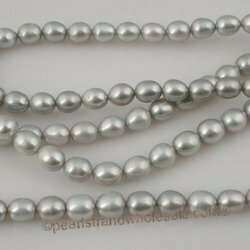 Pearl Quality: Fine luster,smooth with slightly dimple.